Investigations have revealed that the accused is Kamal Hariman Kumar, a resident of Siliguri, Darjeeling. In a unique case, the Railway Protection Force (RPF) unit of Konkan Railway on Friday apprehended a man, who would travel as a bonafide passenger of AC coaches on trains across the country and steal from co-passengers. When apprehended, he had several other tickets on him — all in air-conditioned classes — and a bunch of 50 keys, possibly to open suitcases that he planned to steal on these journeys. "On Friday, Ketan Suresh Kongavkar, a passenger travelling by First AC coach HA1 on Madgaon-CST Konkan Kanya Express, complained to the RPF team on the train that his wife's black leather bag was missing. It contained Rs 50,000 in cash, foreign currency, a gold bangle, mobile phone, passport and ATM/Visa cards. This was when the train was approaching Roha at around 3.40am," said a KR official. Kongavkar had boarded the train at Kudal. 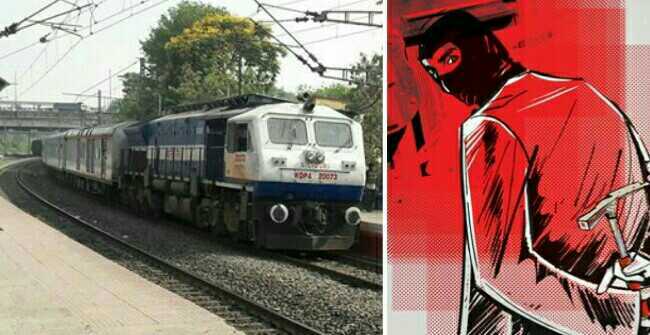 The escorting team led by sub-inspector Sanjay Nikam and constables Wasim Khan and Jiab Ubarhande fanned out through the train and soon zeroed in on a person who aroused suspicion. "He turned out to be a bonafide passenger of the same coach and had a seat in coupe B. On searching him, the RPF found 10 other 2AC tickets. These were on routes like Nagpur-CST, Cuttack-Madgaon, CST-Bhusawal, Cuttack-Visakhapatnam, Visakhapatnam-Vijaywada-Chennai etc," said the official. Investigations have revealed that the accused is Kamal Hariman Kumar, a resident of Siliguri. The couple and the accused alighted at Panvel, said KR officials. A case has been registered with Roha Police station under section 379 of the IPC.